How Much Does Open Source Business Intelligence Cost? Free/open source tools such as QlikView personal version, Microsoft Power BI, Pentaho, SpagoBI etc. Proprietary or paid tools such as SAP BusinessObjects, Tableau, SAS, Microstrategy BI etc. Regarding the first point, let's quickly clarify to avoid misunderstandings, free ≠ open source. There are free versions of proprietary software that usually come with more limited features than their paid versions. These versions are ready for use and are not usually modified in any way. They must also be used within the limits imposed by the manufacturer. Sometimes the limits are wide enough to meet the user's needs, but in most cases, these versions are used as a "bait" to entice customers to buy the "full" versions. The free versions that offer an "upgrade" to the paid version are now usually referred to as "freemium" (combining the words "free" and "premium"). Open source software are free by definition. You have access to the source code and anyone can use it and change it at will. But there aren't always "ready to use" versions of open source software. This means these versions aren't easily installed and used. In some cases it's necessary to "build" the application from its source code requiring technical skills in software development. If the use of open source software is free, technical support with usually come at a price. This part is left to the software's "community" through online forums and guides, but for more sensitive issues and advanced customization, these are tackled by developers in exchange for fees. Very often, an open source software has two versions of the same product: the Community version and the Enterprise version. As the name suggests, the first is completely free and has the support of the developer community that contributes to its growth and evolution. 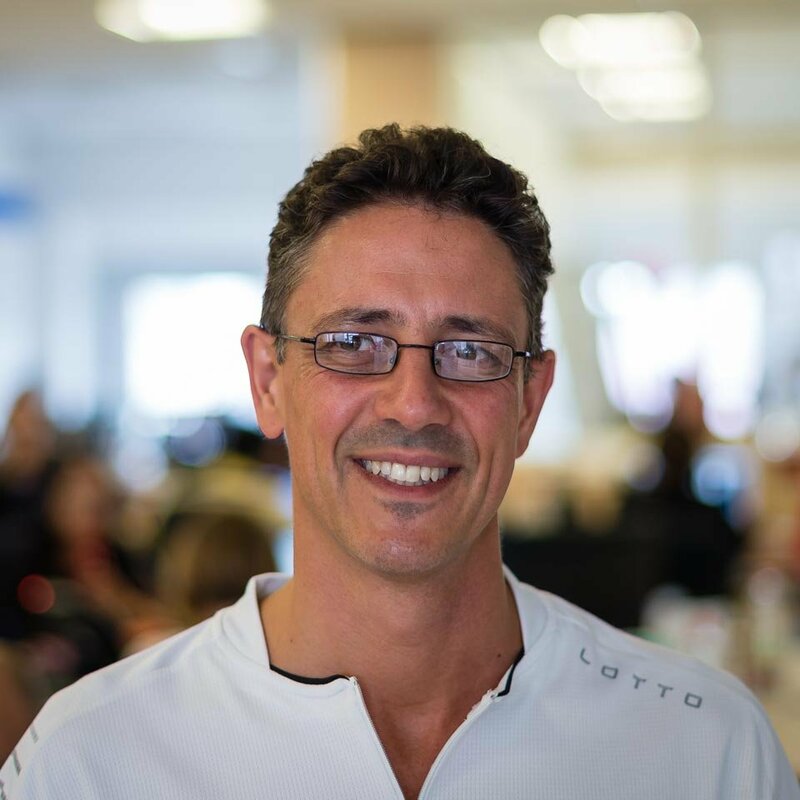 The second however, is geared to companies that need robust, easy-to-use and ongoing 24/7 support that reduces time wastage and forms a part of their "core business". Among Open Source Business Intelligence software, Pentaho is a classic example of an open source software. It often allows you to upgrade to a full, paid version with the simple payment of licensing fees. An Open Source Business Intelligence solution is generally represented by the acronym OSBI. PBI solutions will be used for proprietary software. The factors to consider in choosing tools to be used are the time required to achieve the desired solution and the costs to be incurred to achieve it. So when does a solution trump the other? Let's list a few factors that will help us decide the best solution. You have a technology partner that can provide the necessary technical support. Verify the level of attention of the community to the problems associated with the upgrade of the platform, as well as to the development of guides or tools that can help when upgrading. You want to be free from problems related to bugs, updates and security (24/7). Verify the manufacturer's attention to the use of new technologies and integration with external systems. Pentaho can be considered in between PBI and OSBI, as it offers two versions, Community (EC) and Enterprise (EE) of its suite of tools for Business Intelligence. In the following table, we can see the characteristics of the two versions, compared to the average characteristics of the other commercial platforms. Yes, directly from Hitachi Corp.
From the point of view of the time needed to produce a prototype, implementing and maintaining a BI platform, we can say that proprietary systems are ranked the same or slightly better than Open Source Business Intelligence systems. However, the latter are preferred more when it comes to interacting with emerging technologies and for cutting-edge projects. Quick through ETL, suffers from a lack of tools for the graphic design of user interfaces. To achieve the same results of commercial systems, it's necessary to develop the code. Developing ad hoc solutions allows against extreme customization of the final system. Rapid, with “zero coding” system. The simplicity interface development sometimes reduces possibilities for personalization. Requires in-house technical expertise or support of a technology partner. Although, this lengthens the time of maintenance operations. Interfaces Administration is designed to speed up maintenance operations. Rapid Migration. It's automatic and guided between successive versions. If the difference of version is high, it's sometimes necessary to migrate in several stages, or develop ad hoc procedures. Fast integration through the support of the developer community and the ability to modify the application code. Integration speed is dictated by how fast the manufacturer implements new technologies, which are integrated only when they are established and standardized. From a cost perspective, let us quickly debunk a myth: Open Source Business Intelligence systems aren't free. Not even those distributed at the Community Edition level. Sure, you don't need to invest immediately in a license, like for commercial systems. However, the absence of dedicated support and automatic system maintenance and management, or just using basic spartan tools create other costs related to the extra time needed to perform the same operations. Nonetheless, these costs are reduced if you have the necessary technical skills within your organization. 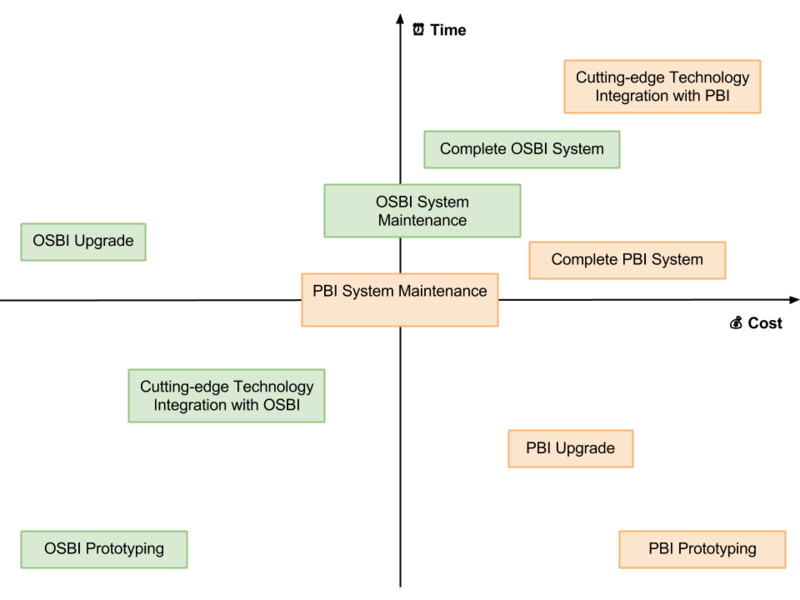 Despite all this, an average OSBI system is still cheaper than a PBI system. In the case of complex solutions, both are very close in terms of costs. For simple projects, OSBI is definitely the most economical solution. With more technical skills required to configure the system and create complex interfaces, OSBI systems are at a disadvantage because they increase the final cost. On average, there are more affordable PBI systems that can deliver the same system. The license cost is absorbed by the increased speed of development due to the presence of advanced configuration tools and interface design. The same considerations from development. It's missing direct support, although the community often provides solutions needed through the forum. The same considerations from development. You can usually count on 24/7 support for any product issues. The time required to develop ad hoc procedures manually for upgrading to new versions of the system generates an indirect cost. The upgrade cost is often tied to the purchase of a new license or the adjustment of the one already in their possession. The cost of integrating of new technologies is relatively low. The community is very attentive to the latest trends and is easy to find ready-made components. Sometimes not feasible. The integration of a new technology not present in the standard version of the product requires a customization ad hoc development by the manufacturer, which typically has high costs. In the following chart, we can see what we have discussed up to now where we positioned various aspects of a Business Intelligence system against the time and cost requirements. The information needs are well known and you have a clear idea of the system requirements. The system must be up and running in a short time and must be carried out internally by non-technical personnel. The consultation of data interfaces must be simple to implement and user friendly, with enhanced functionalities and complex interactions. In this case the availability of "zero coding" tools and advanced administration interfaces, combined with the technical support offered by the manufacturer, makes license fees acceptable. Therefore,in this situation, the best choice is a PBI system. 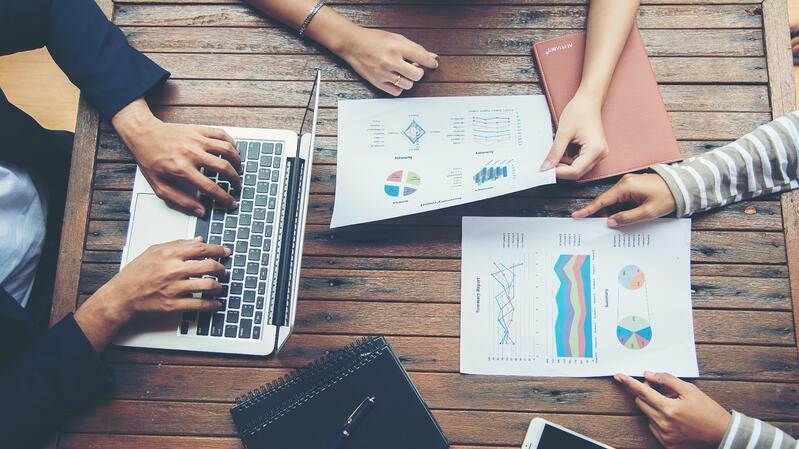 The two solutions must be carefully assessed to avoid choosing a business intelligence solution that's either not able to handle the requirements or generates excessive costs for the company. Open source solutions come from the latest trends and are generally based on the most innovative technologies compared to proprietary solutions. If we talk about Big Data and IoT (Internet of Things), Data Mining, What-If Analysis, sentiment analysis, the balance leans overwhelmingly towards Open Source Business Intelligence solutions such as Pentaho, which are already equipped to address these challenges. It's important to have the internal expertise to make this assessment or find a technology partner with the right expertise that will allow you to address the needs of your choice. Want to find out whether Pentaho is the right solution for you? Request a free, personalized demo now!